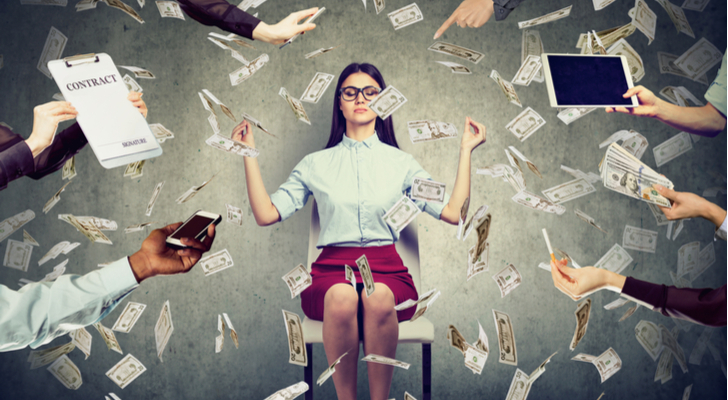 Things might get very frustrating when you miss a possible good trade setup in the market. 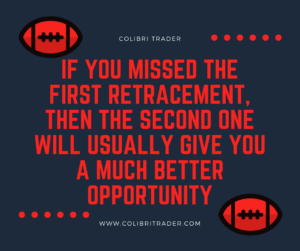 Many traders that are new to the market think that they have missed a “once in a lifetime” opportunity and try to chase the trade and ultimately lose a huge amount of money. But the professional traders in the financial market consider a missed trade setup as a new possibility of getting into a much better trade once the market settles. 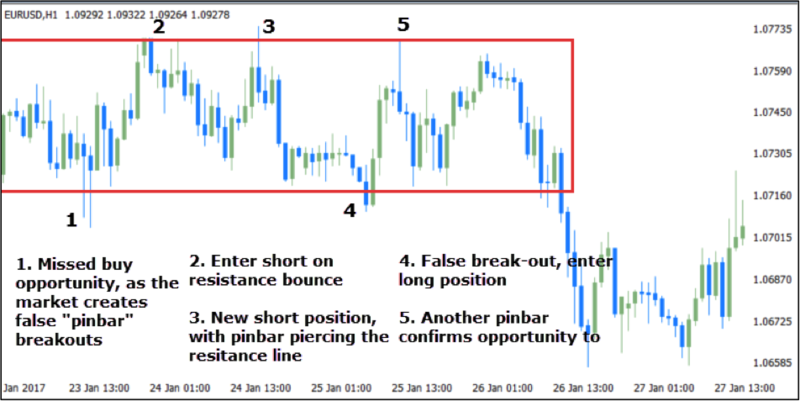 Let’s go through some examples and explain some high quality missed setups, and how you can re-enter the market. From the above figure, you can clearly see that there was a nice selling opportunity at the bearish trend line. 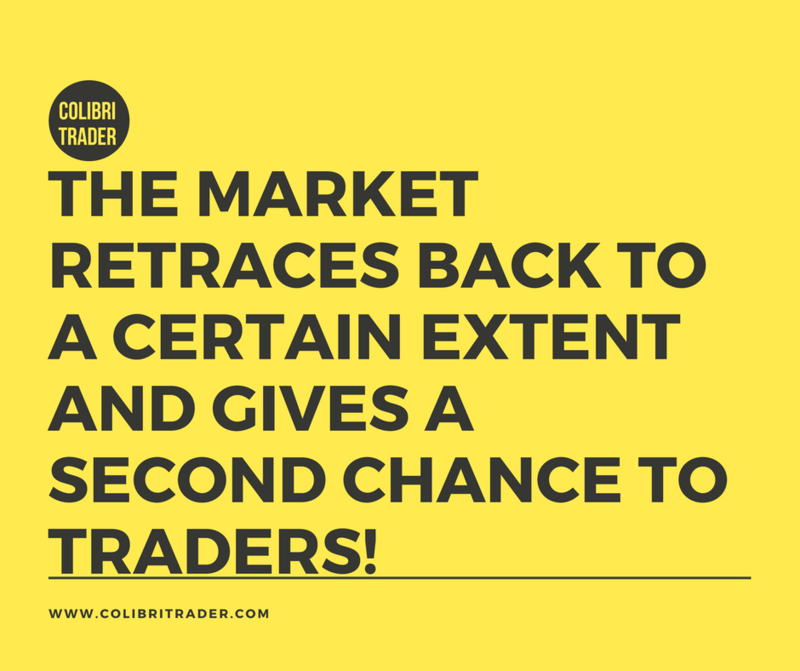 But if you face such scenario in the market then there is no need to worry – the market retraces back to a certain extent and gives a second chance to traders who missed the first opportunity. So, let’s see what happens next. 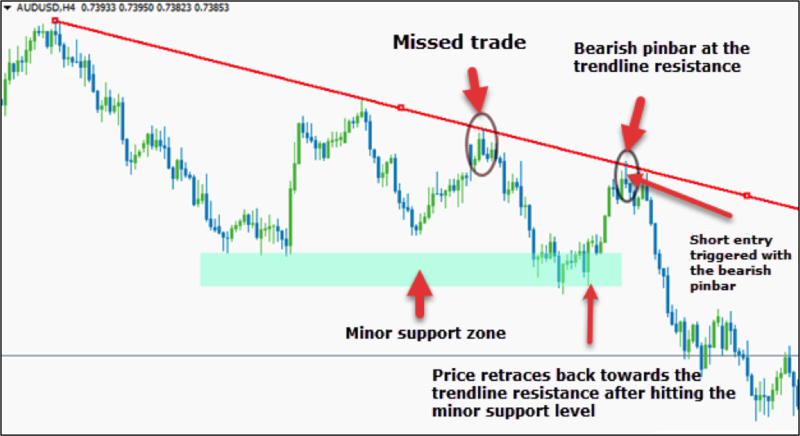 From the above figure, you can clearly see that the AUDUSD pair retraced back to the trend line resistance level and gave the traders a second chance to execute a short order in the market. To be precise, the second trade setup is much more reliable as it formed a nice “bearish pin bar” right at the trend line resistance level which was not the case during the first time. So there is nothing to worry if you have missed a trade in the market, all you need to do is to wait for the minor retracement of the price towards the support and resistance level before you execute the trade in the market. 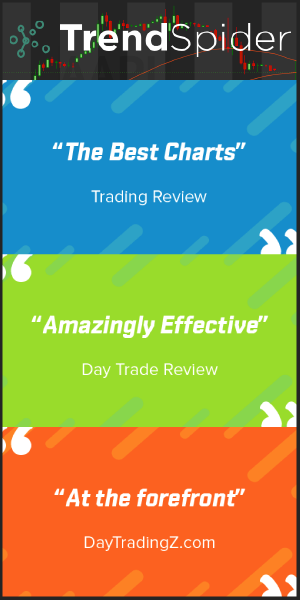 If you missed a trade when the market exhibits any of the above mentioned three characteristics then chances are very high that you will be able to ride a missed trade in the market with much more reliable trade setups. 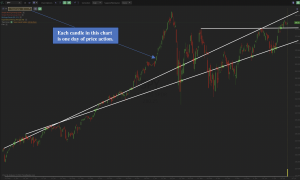 But, when you trade the trend line in the market always have on mind that executing the trade at the third trendline retracement is a little bit aggressive. 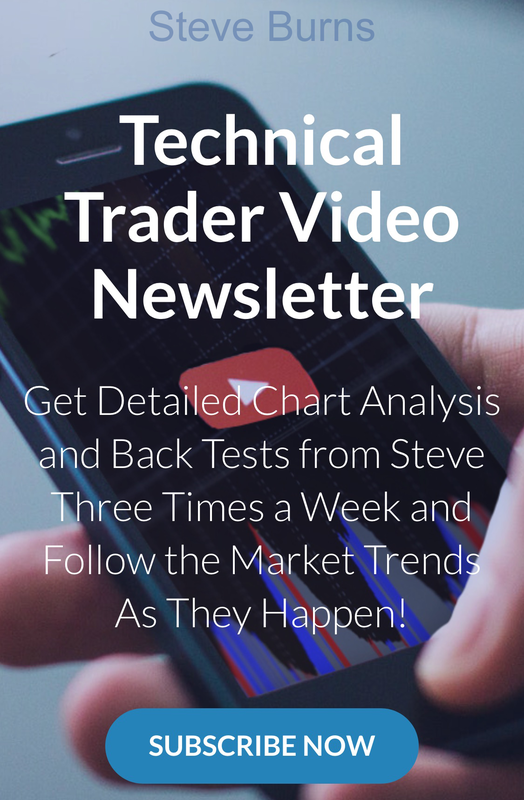 Professional traders love to trade the “third retracement” as the market proves the underlying trend, and offers the opportunity for a quick profit. 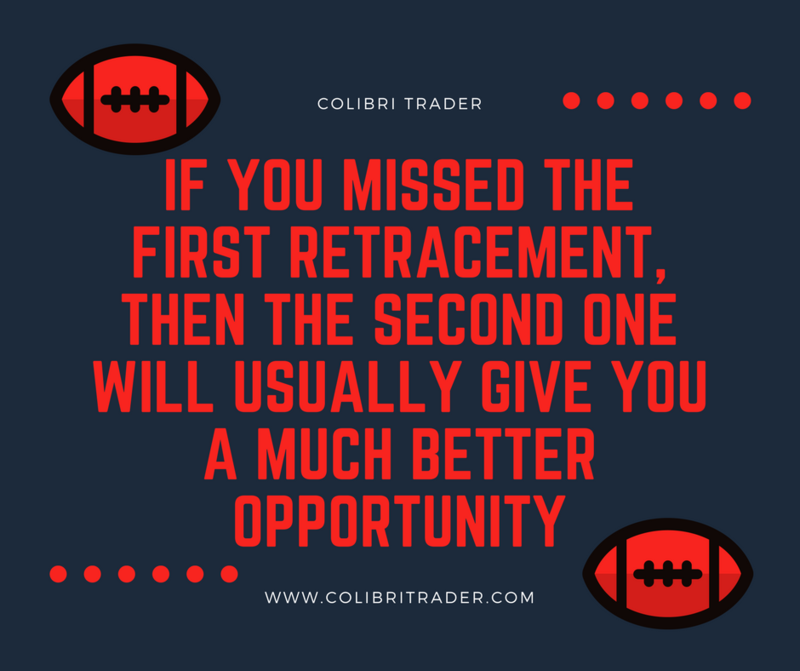 Remember, if you missed the first retracement, then the second one will usually give you a much better opportunity. 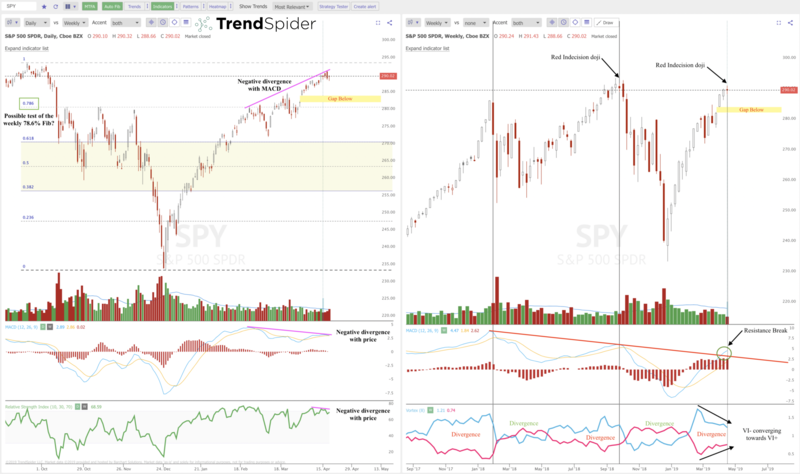 If the market doesn’t look like it is trending, you can still enter a missed trade. The key is to wait for the price to make a repeating pattern, like higher highs or lower lows. In the next chart, I will show you how such a trade setup looks like. 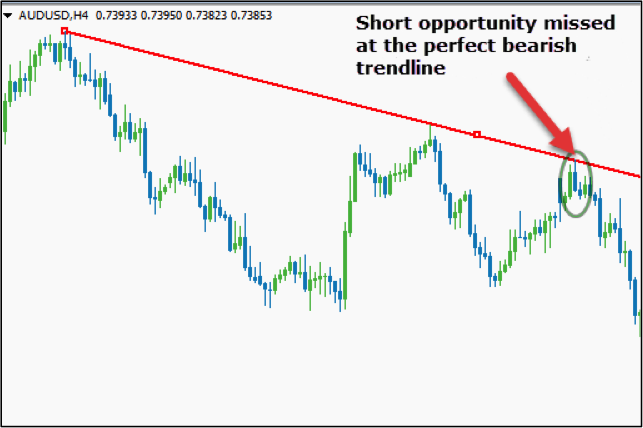 The EUR/USD pair didn’t trade in a trend when the missed opportunity for a long position occurred. The key for traders in this case is to be patient and wait for the price to retrace, eventually making a new higher high. With a new break-out of the red resistance zone, and additional testing of the resistance-turned-support, it’s time to enter the market. This setup is nicely followed with a long bullish candlestick, which confirms a possible new higher-high is to come. Let’s see what happened next. 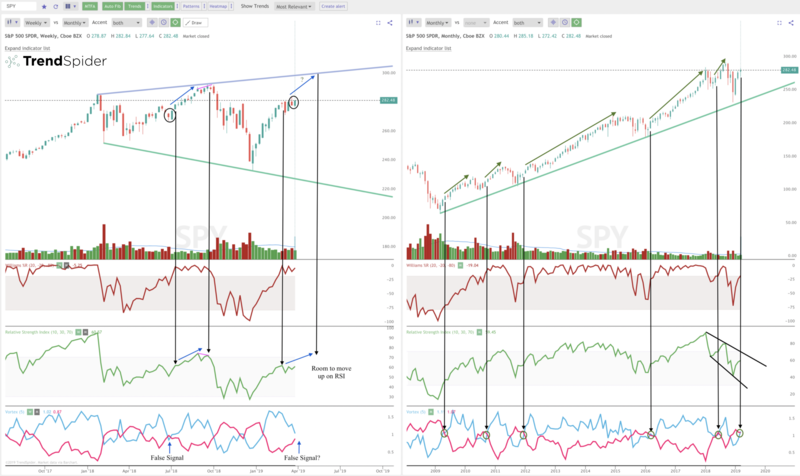 The market continued to make higher-highs after we entered the market. It made three new higher-highs before finally hitting a longer-term resistance line, which is a signal to exit the trade at this place. 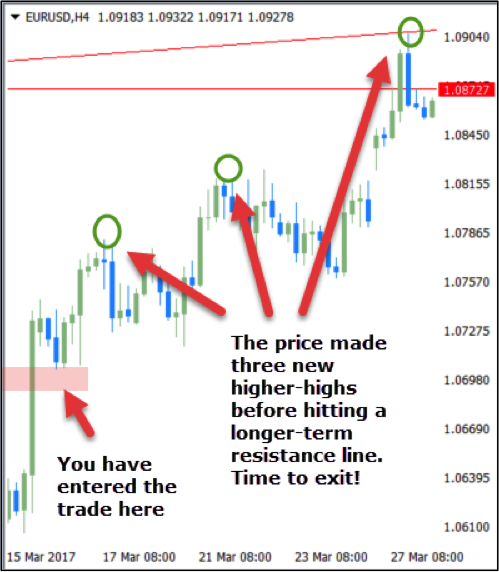 The trader would have made a nice profit by following these instructions, despite missing the initial trade. 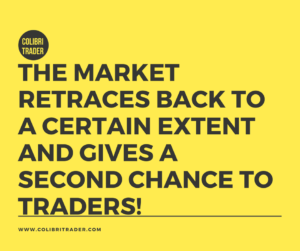 Ranging markets offer a load of opportunities to re-enter the market once a you’ve missed a trade setup. 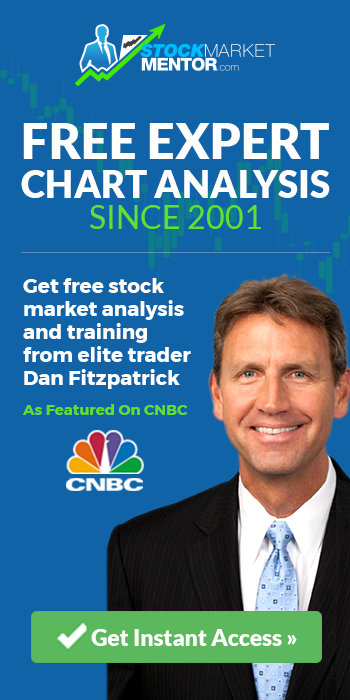 Generally, the strategy involves trading bounces off the rectangle, or support and resistance lines. The following chart shows a sideways-trading market with the missed first trade setup. 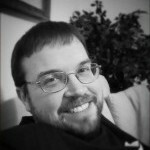 The trader has missed the first setup (1), but there is nothing to worry about. 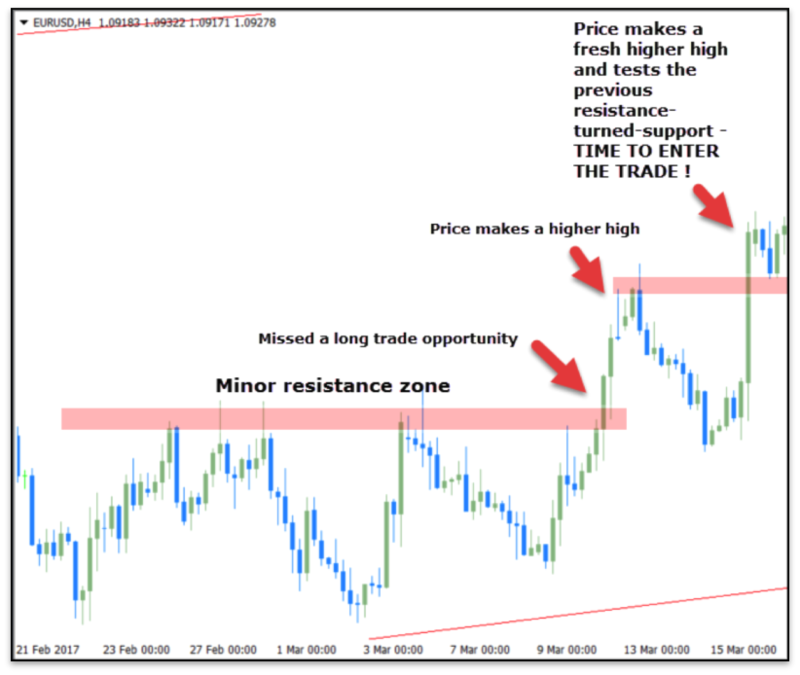 Don’t jump in immediately, but wait for the price to reach the upper resistance line of the rectangle (2). With the next bearish candlestick confirming the bounce, it’s time to open a short position. The same opportunity appeared at number (3), where the pinbar candlestick touched the upper resistance line. Stick to the position until the price bounces to the lower support line (4), which made a false break-out signal. With the next bullish candlestick returning into the rectangle, and covering the prior two bearish candlesticks with its body, this is a strong signal to enter a long position. Again, at number (5), the price touched the upper resistance line with a pinbar candlestick – it’s time to close the long and open a short. 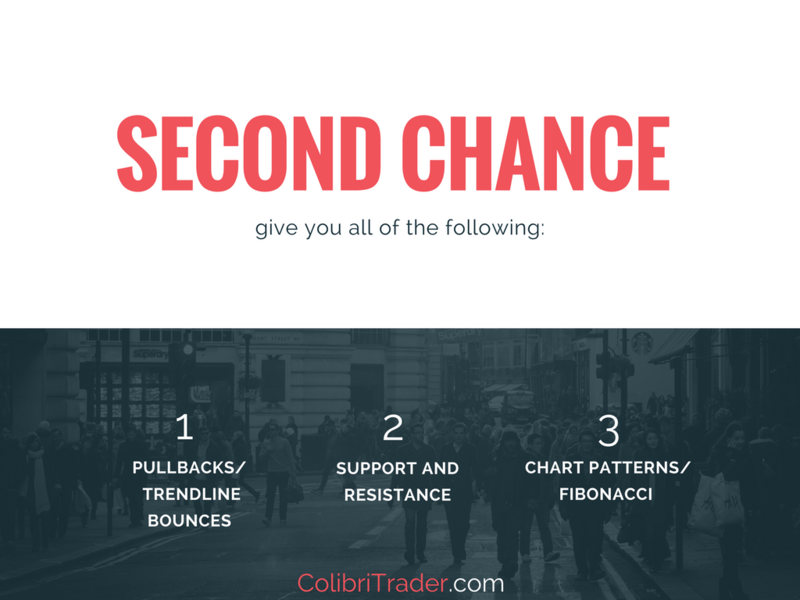 As can be seen from all of the charts, never chase a missed trade setup. In doing so, novice traders lose money in the long run. Instead, focus on the market signals that the price will send afterwards. Wait for pullbacks, trendline bounces, rectangle bounces, higher highs or lower lows. Trading the support and resistance will create new trade opportunities very soon. There is never a lack of volatility in the forex market, just be patient and the market will create the new perfect setup for you. You can also use the Fibonacci retracement tools or chart patterns to trade the missed trade with minor retracement of the price. But when you trade the market make sure that you follow proper risk management factors to reduce the risk exposure in trading.